Closing the Loop – The new circle starts now! The Council of the European Union has just presented its draft conclusions to take the circular economy plan a step further. In the report it stresses the need for more funding in research and innovation that “are essential for developing necessary sustainable and resource efficient industrial, economic and societal processes to stimulate the transition to the circular economy”. What circular economy is? Briefly, is an industrial economy that by intention does not produce “waste”, or better re-use them! This is open contrast with the traditional model of our economy of “Take, Make, Dispose”, that currently produces just in the OECD countries 572 million tonnes of solid waste per year, for an average of 2.2 kg of waste per capita per day! 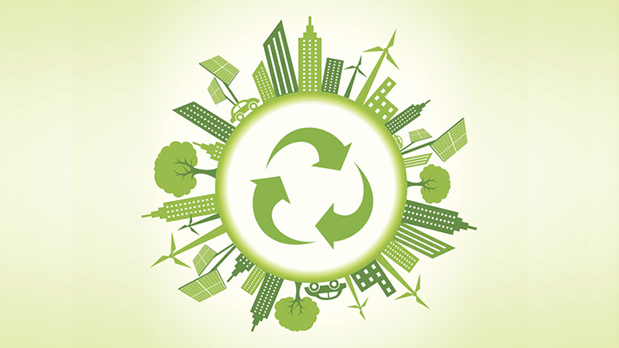 greener products on the market and support recovery and recycling schemes (eg for packaging, batteries, electric and electronic equipments, vehicles). The Circular economy offers an opportunity to reinvent our economy, making it more sustainable and competitive. This will bring benefits for European businesses, industries, and citizens. Moreover, it will make Europe’s economy cleaner and more competitive! The by-products will not be considered as an useless part of our production system but as a resource! For some of us, especially the ederly this may not sound new! We must admit that our grandparents used to fix “things” more and unfortunately this behavior has been lost somewhere through the last decades! We have been so much involved in the consumptive circle to the point that is easier and cheaper to replace a “damaged” object with a new one. As this spiral is not sustainable and also pointless, it must be stopped now! Circular economy is up today the best alternative! Someone it may argue that in this way we are going back, but in my opinion we are moving forward instead! We have today more abilities and an higher technological level than before to build long-lasting products and to create a virtuos loop in which materials flows again and again, re-borning each time to a new life. The Circular economy plan just started and we shall keep an eye open and see how the european situation will evolve! One thing is sure, we are ready to take this step and the benefits will not be late to be seen! ← You used to call me on my…UNfairphone!